Pennsylvania: A priest, who is pastor of a Scranton area Catholic parish, was arrested in Philadelphia on drug charges after allegedly buying cocaine, the Diocese of Scranton confirmed Friday. The Rev. Shimsky was arrested Jan. 30 and charged with drug purchase and possession, according to court records. His arraignment is scheduled for March 4. Police said the Rev. Shimsky had a "small quantity" of cocaine when narcotics officers stopped him in a silver Jeep Liberty in a northern part of the city, according to a report in The Philadelphia Inquirer. 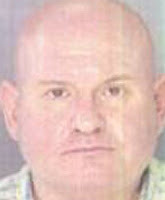 He was witnessed engaging in a drug deal at 10:40 a.m. on the 3300 block of North Fifth Street, The Inquirer said.